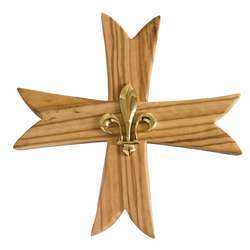 ... or a desk, or hung on the wall. 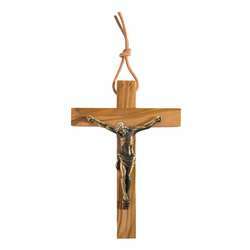 The wooden crucifixes are made of olive wood or walnut wood. 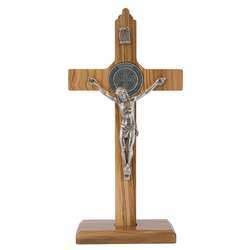 On each card produces wooden crucifixes, we indicate the type of wood used. 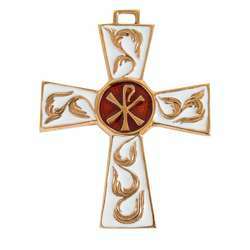 The cross is par excellence the emblem of the Christian. 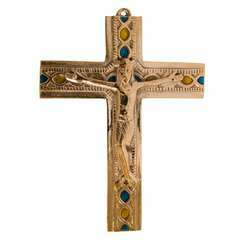 Originally, the cross was used for the crucifixion of those sentenced to death. It was a very cruel and very infamous torment reserved for the scum, the slaves. 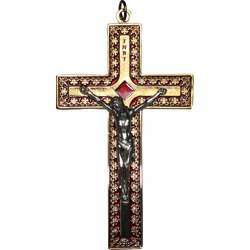 Christ, accepting to die on a cross, as a sacrifice for our sins, has made this instrument of ignominy an object of glory and victory. 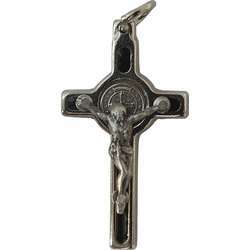 It is through the cross that Christ has triumphed over death and sin. 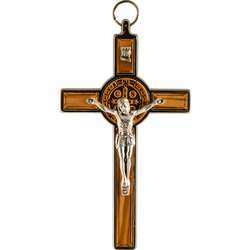 So the cross of Jesus is a glorious cross. 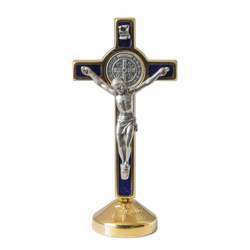 But we must never lose sight of the fact that this triumph of the cross is due to the greatness of the love with which Jesus accepted to die on the cross for the salvation of men by obedience to his Father. 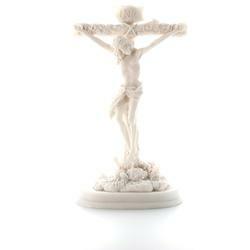 Love is the foundation of true obedience. 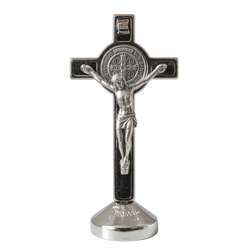 Among the religious symbols, the symbol of the cross is therefore essential for Christianity: it is the symbol of the love of Christ on the cross. 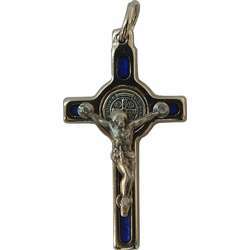 Carrying the cross as a pendant, even if this cross being gold plated or silver solid, is a religious jewelry, is nonetheless a profession of faith. 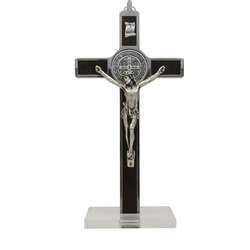 Given the importance of the symbol of the cross, a Catholic religious shop must have crosses and crucifixes. 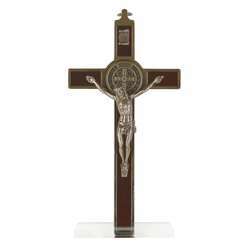 A cross is a gift that is quite appropriate for a first communion, because the cross of Jesus reminds us that he died in sacrifice and that the Mass or the Eucharist makes only one sacrifice with the sacrifice of the cross . 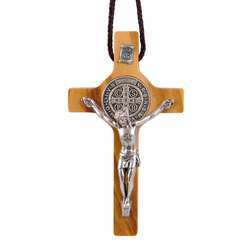 All the crosses sold on our religious shop are Catholic crosses. 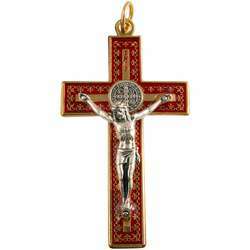 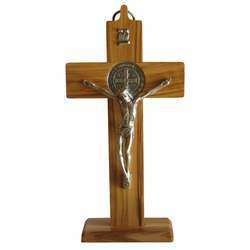 The wooden crucifix CB145 can very well be used as a cross of communion. 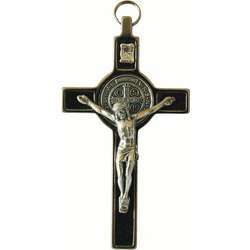 The presence of Christ on the cross gives it more value. 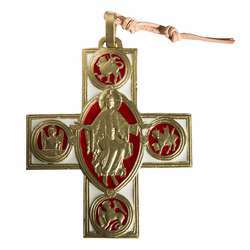 The crucifix of St. Benedict also called the cross of St. Benedict, has the distinction of having in its center a medal of St. Benedict. 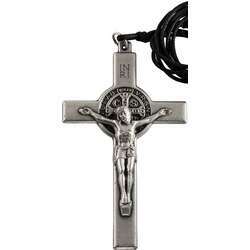 For the blessing of this crucifix, we must also bless the medal of St. Benedict with the special blessing that includes an exorcism.